There is no telling how many solar jobs there are in this galaxy given the probable billions of solar systems within it, but we do know that there are quite a few in this small sector. If you are thinking that you would like to build a career in the solar industry, it is an industry with an impressive growth rate and lots of room. If you’re trying to make a decision to shift your goals toward building a career in the solar industry, it is necessary to see the whole picture. There are three steps in gathering necessary information to see this picture clearly enough to make the right decision and pick the solar career path that fits you best. The Solar Energy Industry Association SEIA provides the National Solar Database on their website. This database is a Google map of the U.S. that allows the user to find manufacturers, installers and others serving the solar industry. The Solar Foundation (TSF). TSF publishes an annual Solar Jobs Census report. The Department of Energy DOE maintains a Solar Career Map on their website. 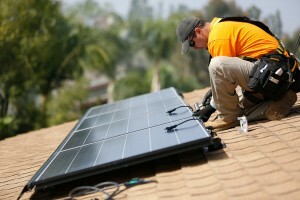 Most of the U.S. jobs in the solar industry are directly connected to system design, installation and sales, however, there are many jobs created by the solar industry that have an indirect connection. Preparing yourself for a new career or even a slight shift from your present career requires a clear understanding of the job qualifications you’ll need. Studying the industry as a whole is easy since there is so much available news on it. 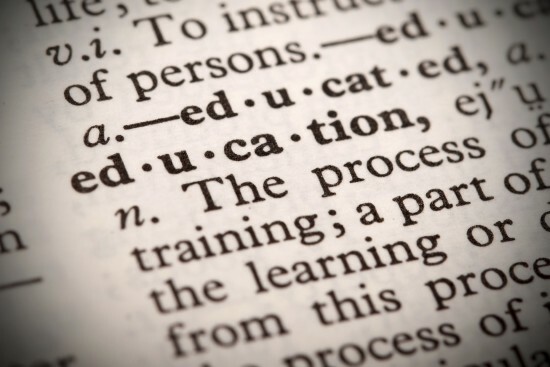 In order to focus on the area that suits your experience, aptitude and work desire, a knowledge of education, training and skill requirements is necessary. Most employers want to verify your ability to perform the job prior to hiring you. If you are in accounting or finance and plan to incorporate solar into your present business model, the learning curve is not so steep. If you are in sales, construction or manufacturing, the learning curve is steep enough to require specialized training. The solar industry has developed organizations to help workers, employers, state and federal agencies and consumers make wise decisions regarding experience and solar training. 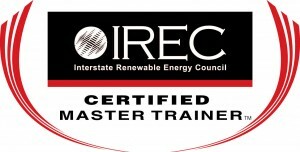 The Interstate Renewable Energy Council IREC sets standards for accredited training schools and trainers. Workers and employers can use their accredited training database to find quality schools and trainers. The North American Board of Certified Energy Practitioners NABCEP provides the opportunity for solar installation professionals and solar sales professionals to become certified. These certifications are difficult to get, but sets the certificants apart from others. The standards are high so that employers and consumers can make good choices. Finding the job is one of the most stressful steps in the process but it is easier than it seems if done with an effective method. Follow these steps and you will meet the people who will be doing the hiring. The National Solar Database is a great place to start; it will show you most of the companies who are established in the solar employment sector. The American Solar Energy Society ASES has chapters throughout the U.S. The chapters are supported through the membership of solar companies and other interested parties and groups. Join your local chapter and take time to go to the open meetings. This is the best networking opportunity you will find. Another form of networking is getting to know people who know the potential employers. Most people meet these contacts while taking training; the trainers know the employers and the employers trust the trainers. There is no better first connection with the industry players than in a training class. The linked chart shows the most common recruitment methods used by employers. Changing or building a career takes time and it should not be rushed. Take time to get as much training as possible. There is a lot of free solar training on various industry web sites to help you get started, but if you want to be taken seriously, it will be necessary to take IREC accredited courses from a certified school. Make the change at a pace that will ensure success – fast enough to get you there but not so fast that it burns you out. Time is on your side because solar jobs in this small sector of the galaxy are growing. It would seem logical to assume that since the Solar PV industry is growing at such a robust pace, there should be plenty of jobs available. That is a correct assumption, but there is a gap between the need for workers and the need for a well-trained work force. The old adage is; you need experience to get a job, but you can’t get experience without a job. Fortunately, almost all prospective PV employers understand that in this industry, the training comes first, and it’s usually enough to get you started. There is one sure way to bridge the gap between experience and employment: training and networking. The first step is to get training from a recognized and competent solar training company. Be sure that it is an accredited solar training program that will be recognized throughout the country. The second step is to get experience, and there is more than one way to get it. Find out where the solar PV contractors gather; associations are the best place to look. The American Solar Energy Society has state chapters all across the country, and most have regular meetings every month or two. It is very affordable to join an association, and the meetings are a perfect place to get to know the solar contractors and business leaders. Take the time to get your foot in the door and be willing to be time-flexible when someone approaches you about working together – because someone probably will. 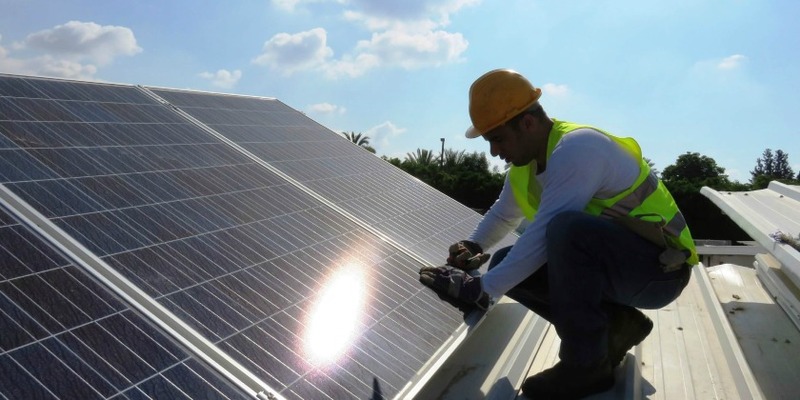 If you are already in the construction industry, it is a short segue into the PV industry with proper training, and you can expand your business quickly, and with relatively little financial investment. Start your own company. Starting any business is easier said than done, but many people do it quite successfully. If you have an entrepreneur’s spirit and the determination to get a company rolling, this is a good choice. Check the laws in your state to determine if you need to have licensing prior to installing PV systems. The “hybrid” start. Many people intend to start their own installation companies, but want an installation or two under their belts before doing so. Working with an existing company on a project-by-project basis can help you get a little experience before you go out on your own. Install a system on your own house (or a relative’s). 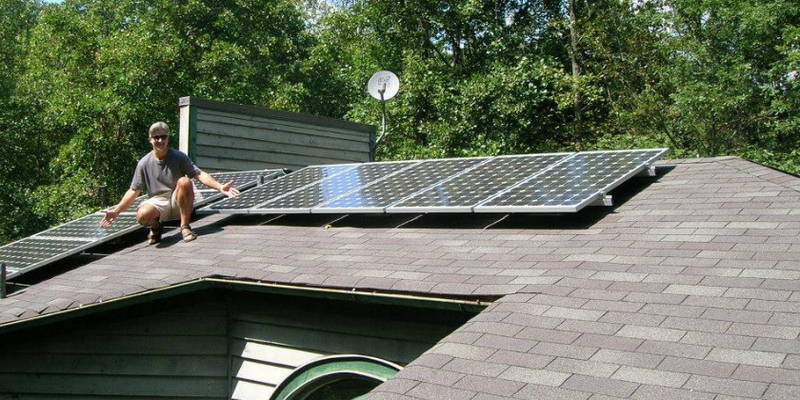 You will learn just as much about installation, and you have your own PV system and some experience at the end of it. One of the best ways to become valuable for a long-term career is to attain an industry certification. NABCEP has several certification programs; Solar PV Certified Installer, Solar Thermal Certified Installer, and Technical Sales Certification. Each of these certifications requires experience that can be obtained by either working as a self-employed, or working for a solar contractor. Familiarize yourself with NABCEP at www.nabcep.org. You can’t get NABCEP Certification without meeting their criteria, and no training company can certify you. The industry leaders know this, and are willing to help you on your path to Certification. After all, with a few exceptions, they pretty much had to get their certification the same way you will. They can work with you on a “project-by-project” basis, or hire you full-time or part-time. Each company is different, but almost all are dedicated to the industry, have high standards, and are willing to help new installers learn. Beware of training organizations who sell up their “Job Programs” or placement assistance. It sounds great to you before you pay your training tuition, but it’s mostly talk with very few programs actually putting people to work in the solar industry. If you find work through them, it will usually be an unpaid position as an apprentice. Don’t be sucked in to “We help you find a job.” Training companies can point you in the right direction and have contacts in the industry, but they aren’t job placement organizations.